Sometimes one of the most important things to remember if you provide dementia or Alzheimer’s home care is that you are not alone. 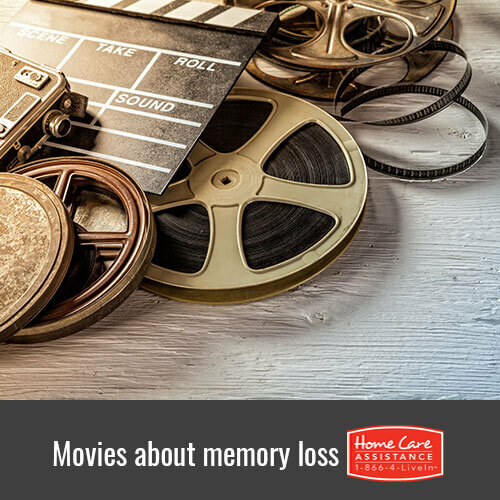 Watching movies that deal with Alzheimer’s or dementia in thoughtful and engaging ways may sometimes provide comfort or help you think through the challenges of providing home care for an aging parent. Below are a handful of movies offering that kind of cathartic and thoughtful viewing experience. The iconic Meryl Streep plays the also-iconic Margaret Thatcher, former prime minister to Great Britain. Through dialogues with her late husband Denis, the movie movingly portrays Thatcher’s struggles with dementia in her later years, even as she remained a public figure. A young journalist named Cooper (Matthew Broderick) deals with memory issues after a concussion. Then he is called upon to provide in-home care for his uncle (Alan Alda) who struggles with Alzheimer’s. This Swedish film (available with subtitles) presents the poignant story of a composer and a musician who find each other in their later years. After being married a short while, it is discovered that the composer has Alzheimer’s. The film follows their marriage through the progressive stages of his illness. An animated movie showcasing the vocal talents of Martin Sheen as Emilio, a man struggling to adapt to progressing Alzheimer’s disease and to his new home in an assisted living facility. A documentary about the legendary country singer Glen Campbell. The movie follows him on his “Goodbye Tour” when Campbell was already in the early stages of Alzheimer’s. For more information on caring for a loved one with memory impairment, turn to Home Care Assistance of Rhode Island. We offer flexible hourly care and around-the-clock live-in care Rhode Island families can count on. With help from a trained caregiver, your aging parent or relative can continue living safely and comfortably in the familiar surroundings of home. Give us a call today at (401) 284-0979 and speak with a dedicated Care Manager to learn more.